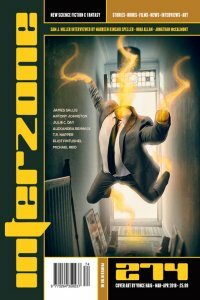 New print issues of Black Static and Interzone, and new online issues of Apex, Clarkesworld, The Dark, Galaxy’s Edge, GigaNotoSaurus, Lightspeed, Mythic Delirium, Nightmare, Shimmer, and Uncanny. 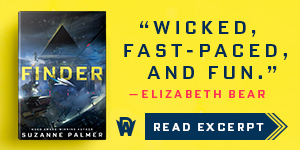  This issue has fiction by Rachel Harrison, Cassandra Khaw, Bentley A. Reese, and T.A. Pratt. 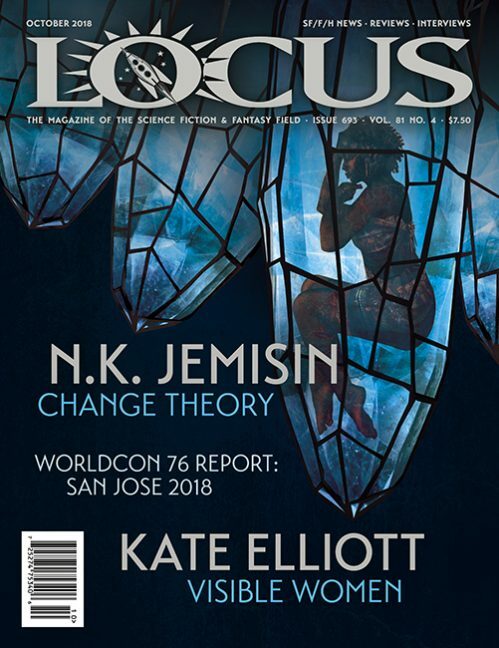  Nonfiction includes an interview with Rachel Harrison, a remembrance of Ursula K. Le Guin, an interview with Benedick Bana, and a review of Black Panther. 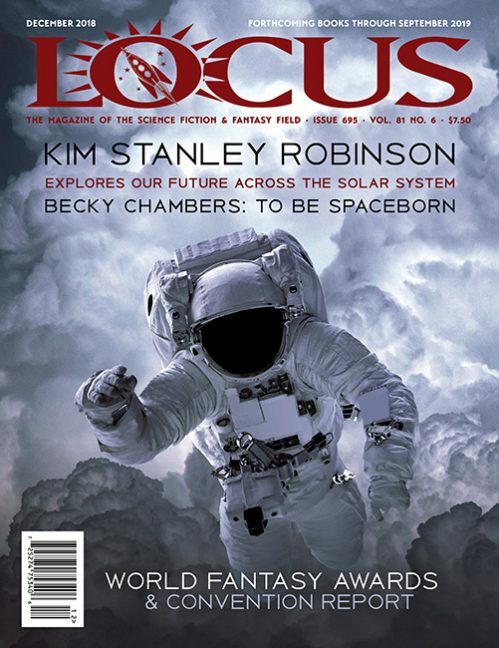  Stories in this issue are by E. Catherine Tobler, Jack Westlake, David Martin, Kay Chronister, and Michael Wehunt.  Note: there was no January/February issue, for reasons explained in this editorial by Andy Cox. 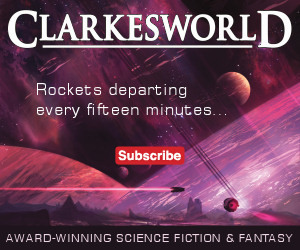  This issue has fiction by Kij Johnson, Juliette Wade, Izzy Wasserstein, Xiu Xinyu, E. Lily Yu, Kage Baker, and Rich Larson. 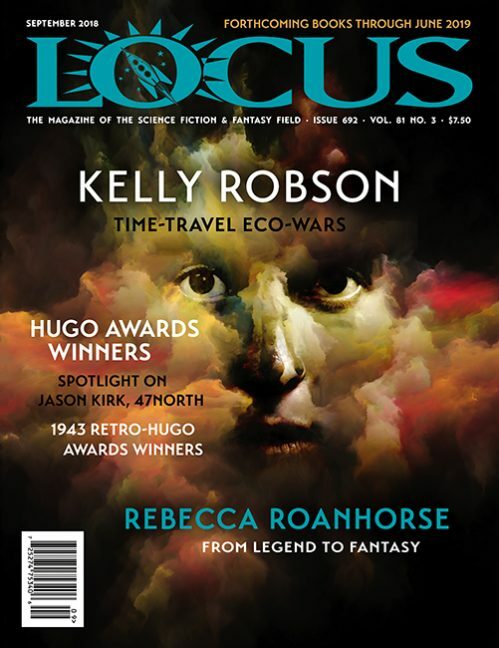  Nonfiction includes an interview with Jo Walton and essays by Carrie Sessarego and Cat Rambo. 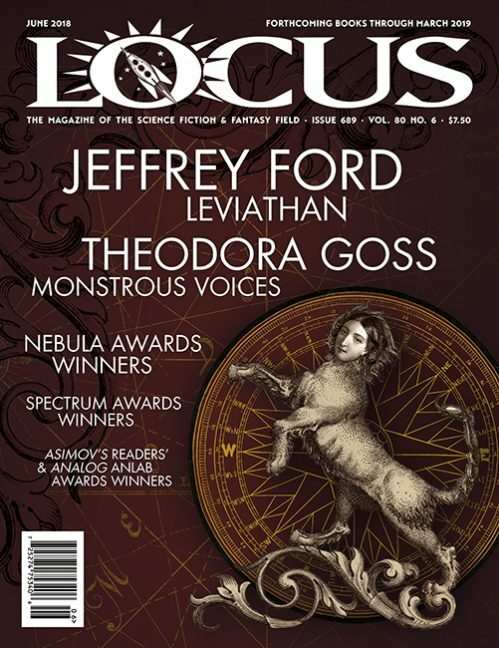  This issue has new stories by Hadeer Elsbai and Aliya Whiteley, and reprint stories by Ray Cluley and Mark Morris. 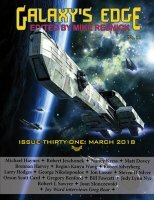  New and reprinted stories in this issue are by Michael Haynes, Robert Jeschonek, Nancy Kress, Brennan Harvey, Regina Kanya Wang, Robert Silverberg, Larry Hodges, George Nikolopoulos, Robert J. Sawyer, Jon Lasser, Steven H Silver, and Orson Scott Card.  There’s also part five of a serialization of Joan Slonczewski’s Daughter of Elysium. 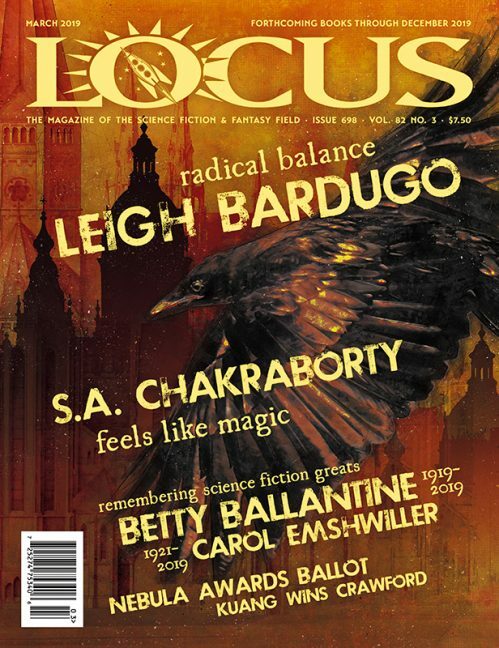  Nonfiction includes an interview with Greg Bear, columns by Gregory Benford and Robert J. Sawyer, and recommended books by Bill Fawcett and Jody Lynn Nye. 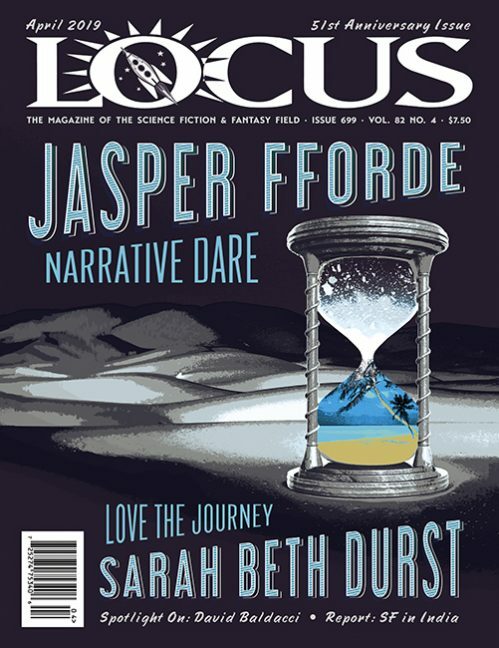  This month’s story is “Traces of Us” by Vanessa Fogg. 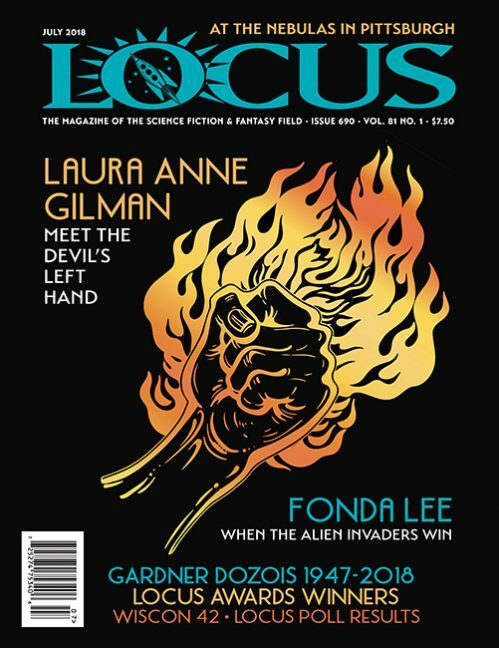  This issue has fiction by James Sallis, Antony Johnston, Julie C. Day, Michael Reid, T.R. Napper, Alexandra Renwick, and Eliot Fintushel. 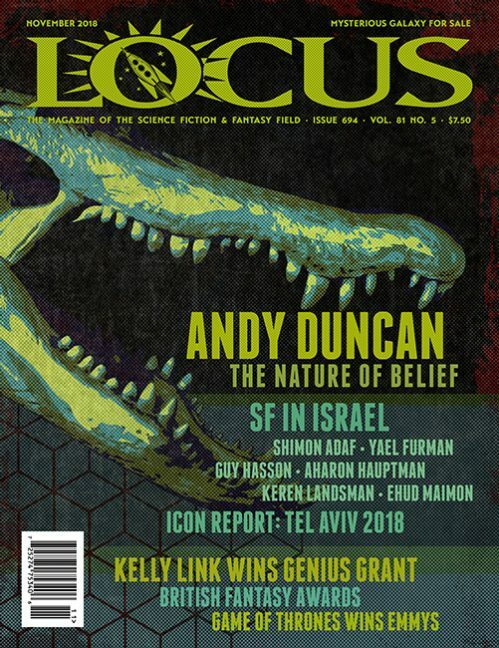  Features include an editorial by Antony Johnston, columns by Jonathan McCalmont and Nina Allan, David Langford’s “Ansible Link” news and obits, a book review section, and film reviews by Nick Lowe. 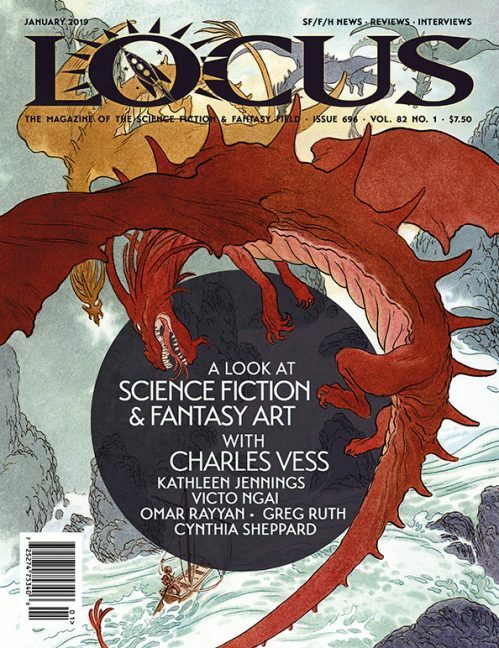  This issue has SF stories by Bryan Camp, A. Merc Rustad, Ken Liu, and N.K. 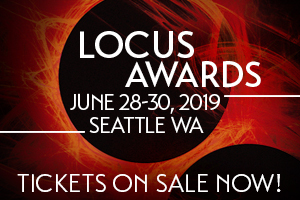 Jemisin, and fantasy stories by Jeremiah Tolbert, Beesan Odeh, Seanan McGuire, and Cassandra Khaw & A. Maus.  Nonfiction includes an interview with Na’amen Gobert Tilahun, book reviews by Arley Sorg, and reviews of Black Panther by Joseph Allen Hill and Carrie Vaughn. 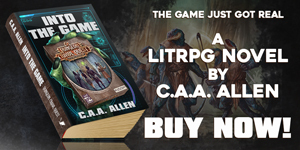  Exclusive paid content includes a novella by Alec Nevala-Lee and a novel excerpt by Tessa Gratton.  Featured in March is a story by Tiffany Trent, and poems by Christina Sng and Cassandra Rose Clark. 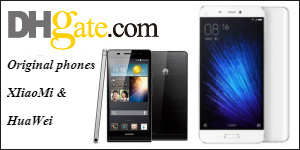  Featured in February is a story by Jennifer R. Donohue, and poems by Beth Cato.  Featured in January is a story by Jaymee Goh and poems by Cassandra Rose Clarke and Donald Raymond. 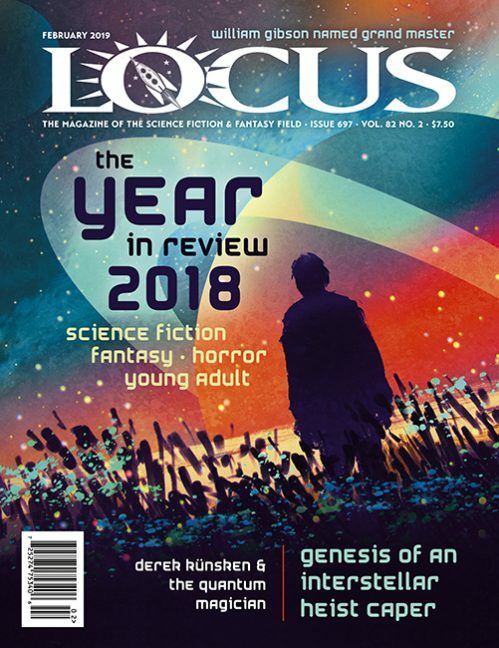  This issue has fiction by A. Merc Rustad, M. Rickert, Lilliam Rivera, and Stephen Bacon.  Nonfiction includes book reviews by Adam-Troy Castro, and an “H Word” column by Charles Payseur.  Stories in this issue are by Sara Saab, Sara Beitia, Lora Gray, and Kathrin Köhler. 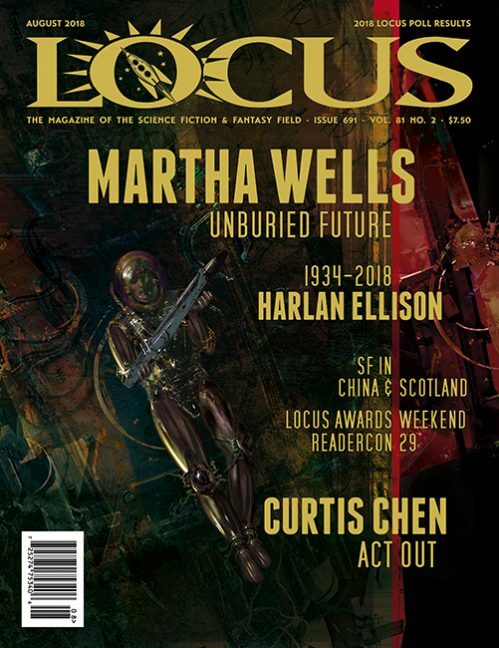  This issue has original fiction by Sarah Pinsker, A.T. Greenblatt, Emma Törzs, Sarah Monette, Vina Jie-Min Prasad, and Brandon O’Brien, and reprint fiction by Nalo Hopkinson. 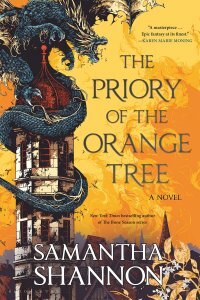  Poetry is by Fran Wilde, Cassandra Khaw, Brandon O’Brien, Beth Cato, Sonya Taaffe, Hal Y. Zhang, and Andrea Tang.  There are also interviews with A.T. Greenblatt and Vina Jie-Min Prasad, and nonfiction by R.F. Kuang, Neile Graham, Marissa Lingen, and Karlyn Ruth Meyer.